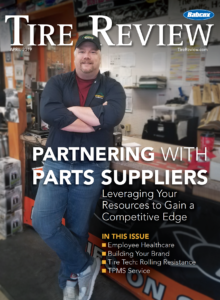 Combining real-world data from a range of resources, this special report will help you gain a better perspective of our industry overall, designed to help you stay informed on trends in tires, tire manufacturing, vehicles, running a tire business and more. We also provide a regional view of brand preferences in addition to the most popular fitments and pricing, segmenting the data from our Tire Review Tire Brand Study to identify tire market trends based on location of respondent. In addition, we explore the many business aspects of owning and operating a tire dealership, including data from both retail and commercial dealers. From sales, spiffs and hours open/worked, to how people get paid, partnerships and most effective marketing methods.